Montrose Port Authority (MPA) has made public the findings of a Coastal Process Assessment, analysing the effect of local dredging activity upon Montrose beach. 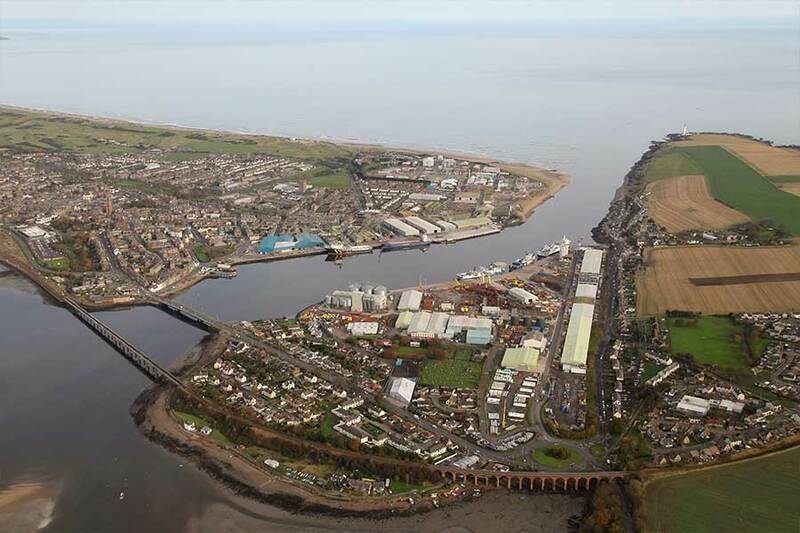 Commissioned by MPA, the Assessment was undertaken by leading marine consultancy ABPmer, whose key objective was to provide a comprehensive understanding of the coastal processes operating in Montrose Bay. In doing so, the study has disproved the previously-reported link between the dredging of MPA’s navigation channel, subsequent material dumping to the south of Montrose Bay, and the ongoing frontage erosion at Montrose Golf Links Limited (MGLL) to the north. Summing up the key points of the Assessment, MPA Chief Executive, Nik Scott-Gray said: “The information provided on the coast process and morphology of Montrose Bay illustrates that there have been phases of both accretion and erosion of the beach and dunes since 1865. The Assessment goes on to confirm that episodic weather events – in particular wave direction and height – are linked to the greatest rates of coastal erosion in the area, which took place during the early 1990s. This period also coincided with the production of a lower volume of dredged navigational channel material, indicating that the sediment released from the dune cliffs at this time did not increase the volume of sediment dredged by MPA and released elsewhere. In addition, the study has also provided options for future protection of MGLL, including any opportunities to utilise maintenance dredge material as beach nourishment. Nik Scott-Gray continues: “As the current Angus Shoreline Management Plan for MGLL states a policy of ‘No Active Intervention’, it is unlikely that regulators will approve construction of further hard defences along the frontage. Whilst this should still be a considered option, we believe that the disposal of dredged material within Montrose Bay could also provide some coastal management benefits.